So now that the 50 days sought by the Prime Minister are behind us, how does one look back at the horror experience called demonetisation and its aftermath? it was remarkable that during such an important and politically charged session, some of the stalwart nominated members of the Rajya Sabha were absent. Sachin Tendulkar continued to be missing from the crease - he hardly shows up - and Rekha made her usual guest appearance. This week, it will be a month since the Prime Minister made that dramatic November 8 demonetisation announcement. The decision to devalue Rs 1,000 and Rs 500 notes, and the execution of the process of exchanging them for new notes, has proved to be a fiasco. The government has to be answerable for all this and the leadership of the government needs to give an explanation for such a situation in parliament. Ram Kishan Grewal's death is not about politics. It is about our inner humanity. And it is about the humanity and humanness I experienced among the plucky and proud people of Bumla. 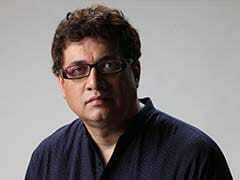 Derek O'Brien's open letter to Amitabh Bachchan's wife Jaya Bachchan, after watching his latest movie 'Pink'. As I write this, it is breakfast time in Rome. The formal canonisation of Mother Teresa, for which we are all here, is on Sunday. This is a day of waiting, of patience and reflection. It's not often that a grown man gets goose pimples. I did, today, thanks to the Supreme Court verdict in the Singur land acquisition case. A flood of memories from a full decade ago came rushing back. You finished fourth in Rio, but your performance was worth its weight in more than gold. Kashmir and Kashmiris will be persuaded not by guns and hard power - but by the opportunities of India's economy, and by the openness and variety of our society. An openness of which democracy is one manifestation. An openness of which pellet guns can never, never, never be a manifestation. Opinion: Yes, We Cleared GST. But Should States Trust The Centre? Who the hell is interested, in this country of a billion people, if a couple of senior journalists have a personality clash or even an argument on principles? It can form the subject of a panel discussion at the Press Club, but how is it prime-time news? The messenger cannot become the message.